BMW has unveiled the latest incarnation of its flagship 5 Series saloon. The new model will be in showrooms from 11 February, and it’s much more than a simple exterior refresh. 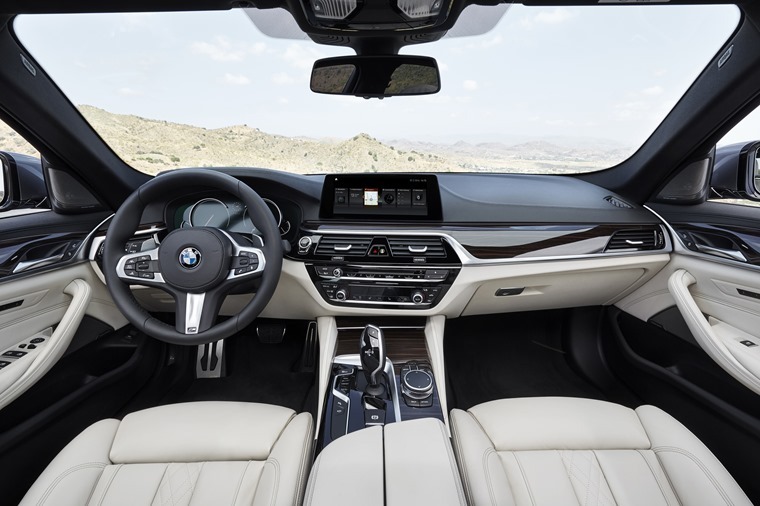 The new 5 Series gets innovations we’ve already seen on the latest 7 Series, while autonomous and infotainment enhancements will put it on par with the latest executive saloons such as the Audi A4, Mercedes E-Class and Volvo’s S90. On top of this, the world’s most successful business saloon will also be available as a plug-in hybrid with an electric range of 29 miles and only 46g/km of CO2 from March 2017. A new front takes cues from the larger 7 Series, with headlights that now converge with the grille. Elsewhere, the front wings now incorporate vents behind the wheel arches while, at the rear, there’s wider and longer tail lights too. 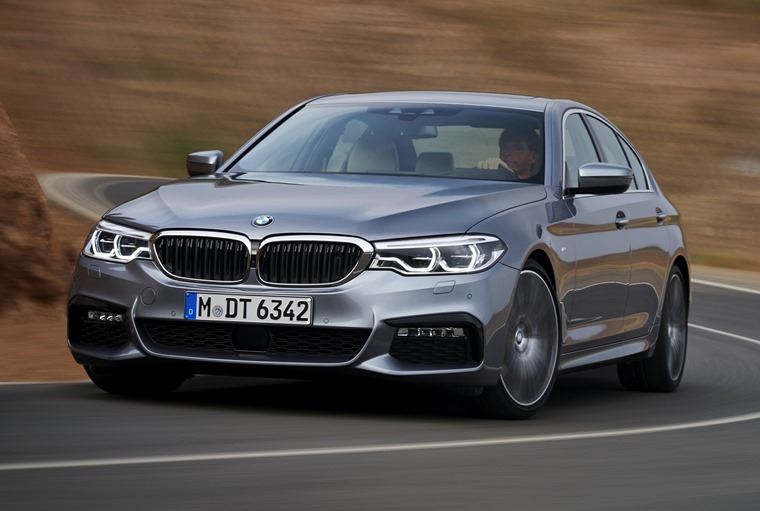 Excluding its futuristic i3 and i8 hybrids, BMW isn’t known for outlandish departures when it comes to styling and, as can be seen, the latest 5 Series follows this rule. That said, the subtle changes do give it a more muscular demeanour than its predecessor, and will ensure the new model stands apart from the previous incarnation. A larger, 7in touchscreen is the predominant new feature in the driver-orientated cabin. 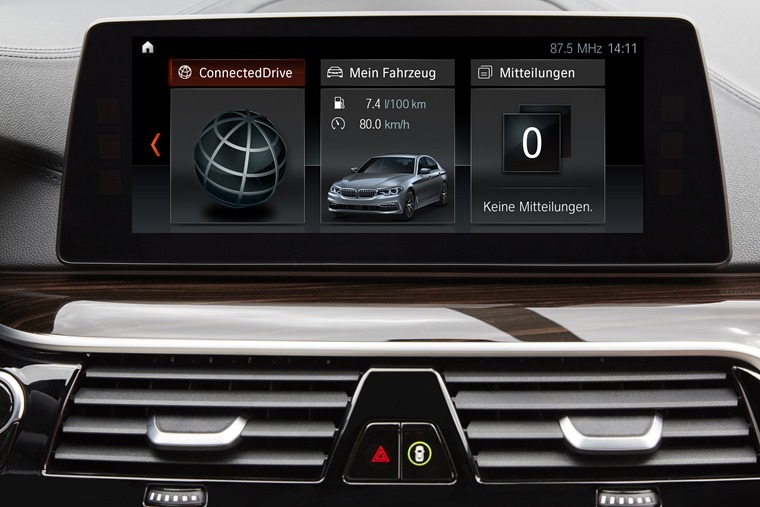 BMW has improved its iDrive infotainment system on every level too, and it now features ‘pinch zoom’ satnav and an all-new interface – both making it easier to use on the move. Fancy one of the 5 Series’ rivals? Read our ultimate executive saloon cross test here. The Mercedes E-Class rival will feature autonomous tech, with BMW’s new Steering & Lane Control Assist system available on a 5 Series for the first time. This clever safety feature means the car can follow traffic and speed limits without driver input – similar to the system seen on Volvo’s latest cars. It doesn’t just borrow styling cues from the latest 7 Series – it also uses the latest CLAR platform from the bigger car too. This means the 5 Series is lighter than its predecessor and, xDrive models apart, retains BMW’s trademark rear-wheel-drive layout. The steadfast range of petrols and diesels remain, and it’s the latter that will make the most popular choices. The 2.0-litre diesel engine produces 187bhp and, if fitted with BMW’s 8-speed automatic gearbox can return up to 72mpg. Businesses may be tempted by the new plug-in hybrid engine though. 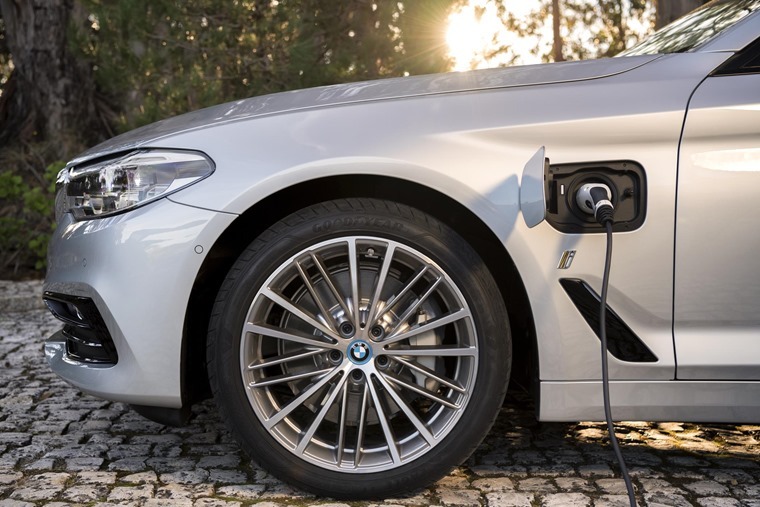 Featuring technology derived directly from the BMW i brand, the BMW 530e iPerformance Saloon offers a dynamic driving experience with combined fuel consumption of 141.2mpg, and a combined electricity consumption of 9.2kWh with CO2 emissions of just 46g/km. A more powerful 3.0-litre diesel provides more power, getting from rest to 62mph in 5.7 seconds. The petrol line-up includes a 248bhp four-cylinder and a six-cylinder turbo – the 540i – is the flagship of the range and produces 335bhp. After its February arrival, the plug-in version should be available in March, and an estate version is set to be launched later in 2017. With a broad range of engines, including BMW’s xDrive intelligent all-wheel drive system, this seventh generation model uses the very latest technology from within BMW to create a saloon that’s more refined than ever before. This means it is significantly lighter, safer, and more fuel efficient. 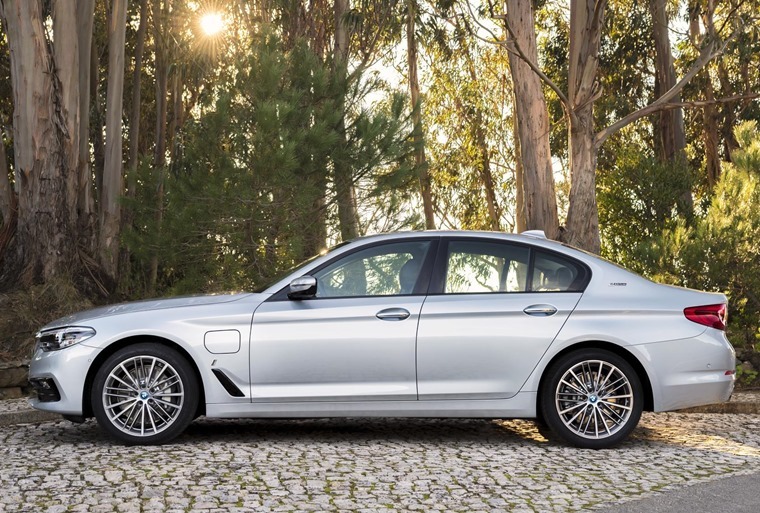 Pricing starts at £36,025 OTR for the 520d model, which has an mpg of 68.8 and 190hp. The next model up is the 530i with similarly impressive figures of 252hp and 48.7mpg, going from 0-62 in 6.2 secs, with an OTR price of £40,120. 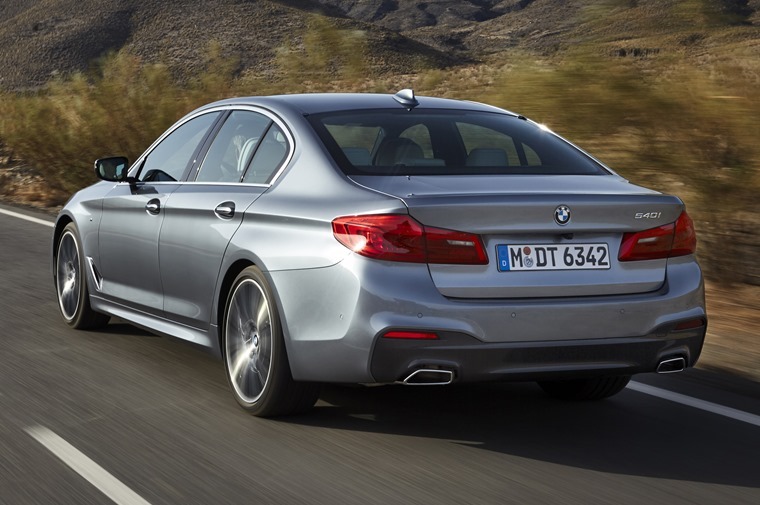 The BMW 530e is available to order from mid-January and OTR prices start at £43,985. At the top of the range is the 540i xDrive. At £46,645 OTR, this model offers a combined mpg of 39.2 and CO2 emissions of 164g/km, with 340hp under the bonnet and achieves 0-62 in 4.8 secs. Lease prices are yet to be announced, so in the meantime here’s some great personal lease deals on the current 5 Series.